A group of B.C. coastal First Nations leaders came to Ottawa today to support passage of the Trudeau government's tanker ban bill — pushing back against entrenched opposition from oil patch boosters who fear the ban will endanger an energy sector already on the ropes. Bill C-48 would prohibit tankers carrying crude oil from loading or unloading at ports in northern British Columbia, formalizing a similar, voluntary ban that has been in place in the region for the last 20 years. Supporters of Alberta's oilsands fear the ban, when combined with scarce pipeline capacity and cratering oil prices, could spell the end of one of the country's largest export industries. During her swing through Ottawa last week, Alberta Premier Rachel Notley said the bill should be tossed "into the dustbin." The legislation — which would ban tankers capable of carrying more than 12,500 metric tons of oil from an area that stretches from the northern tip of Vancouver Island to the Alaska border — has been both praised and pilloried by local Indigenous communities. The failed Northern Gateway project that was supposed to run through northern B.C. had secured financial agreements with 21 First Nations along the project's route; an entity called Aboriginal Equity Partners owned a 33 per cent stake in the line. Other Indigenous communities were worried about the potential for a spill in sensitive coastal waters. "We are salmon people, we are ocean people. Our way of life depends on a healthy ecosystem," Marilyn Slett, chief of the Heiltsuk Nation and president of the Coastal First Nations group, told reporters in Ottawa Tuesday. "We are speaking out against tanker traffic to protect our way of life for the decades to come." Slett said the community already faced the economic and social consequences of a diesel spill (a product that would not be covered by the tanker ban) when the Nathan E. Stewart sank to bottom of the ocean, leaking tens of thousands of litres of diesel into the waters west of Bella Bella on B.C. 's central coast. The spill devastated local clam beds. Tanker ban supporters worry that a spill of a crude oil product in these waters would again threaten the viability of a diverse fishing industry that sustains well over 1,000 jobs in the area, from the fishermen themselves to processing plants along the region's shores. "Our community is a fishing community. Always has been, always will be. And we can't afford to let anything happen. With a spill ... all the resources in our area would be all gone," said Gary Reece, hereditary chief of the Lax Kw'alaams First Nation. "It would be a disaster." He said his community enjoys a measure of financial success because it relies on a productive fishery. 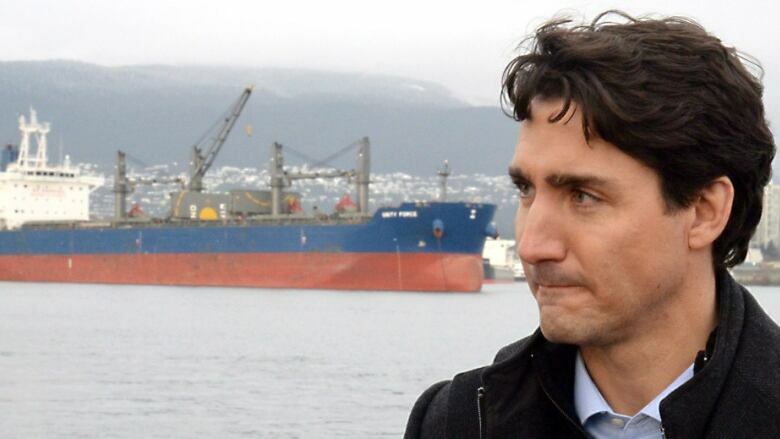 Peter Lantin, president of the Haida Nation, said he expects Prime Minister Justin Trudeau to stick to his campaign promise to keep crude oil from running through the Great Bear rainforest to points along the coast for export to Asia. "Reconciliation will be at risk if oil tankers are allowed in our territory," Lantin said, adding routes through narrow coastal channels with strong currents are simply too dangerous for crude-laden ships. "The risks are too big." Other First Nations leaders from the region — including Calvin Helin, also a member of the Lax Kw'alaams First Nation near Prince Rupert, B.C. 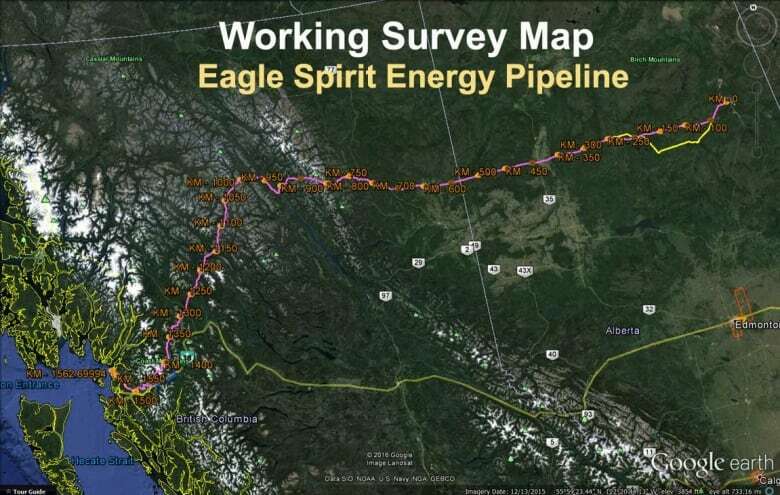 — have backed the Eagle Spirit pipeline project, a plan to build a pipeline corridor from Fort McMurray in northern Alberta to Prince Rupert, B.C. Helin's company, Eagle Spirit Energy Holding Ltd., is behind the proposal to build the pipeline. He said a tanker ban like the one proposed in Bill C-48 infringes on his Indigenous and treaty rights. The Eagle Spirit project has the support of 35 Indigenous communities along the project's proposed route — notably communities in the interior that do not have other viable industries. Its backers have called the project "a leading example of achieving reconciliation through economic empowerment" as it would be the first major Indigenous-led infrastructure project in Canadian history. The company maintains it has already secured commitments from oil companies to ship two million barrels of oil per day on the line. Bill C-48 was passed by the House of Commons last spring. The bill hasn't moved beyond the second reading legislative stage in the Senate because a number of senators fear the bill would kill off an international shipping route for Canada's energy products at a time of constrained pipeline capacity for Alberta oil. "Without the Trans Mountain pipeline and with the tanker moratorium, there is absolutely no possibility for Alberta to get its product to tidewater. We will have closed the gate and made any alternative solution, if Trans Mountain fails, impossible," Conservative Alberta Sen. Scott Tannas said in a recent speech in the chamber. "The government is killing what could be a great opportunity for First Nation prosperity," Conservative B.C. Sen. Richard Neufeld said. "Bill C-48 shatters that dream. "Bill C-48 sends a clear message to the world: Canada is closed for business. As far as I know, there is no other jurisdiction in the world that has an official tanker ban in place." Critics of the bill maintain tanker safety has improved markedly since events like the Exxon Valdez oil spill in 1989. That spill of tens of thousands of barrels of oil into waters off Alaska is widely considered one of the most damaging environmental disasters in U.S. history. The Liberal government also has pledged more money and resources as part of its $1.5 billion "world class" ocean protection plan to bolster spill response teams and coast guard capacity with new rescue stations. Other senators — notably Newfoundland and Labrador Conservative Sen. David Wells — have said it is fundamentally unfair to ban traffic on the West Coast while leaving Atlantic coastal waters to contend with both a robust fishery and considerable oil tanker traffic. "Is the northern coast of British Columbia more pristine, sacred and valued than the coast of Newfoundland and Labrador? Because that's what this bill implies," Wells said. "Frankly, it's offensive."